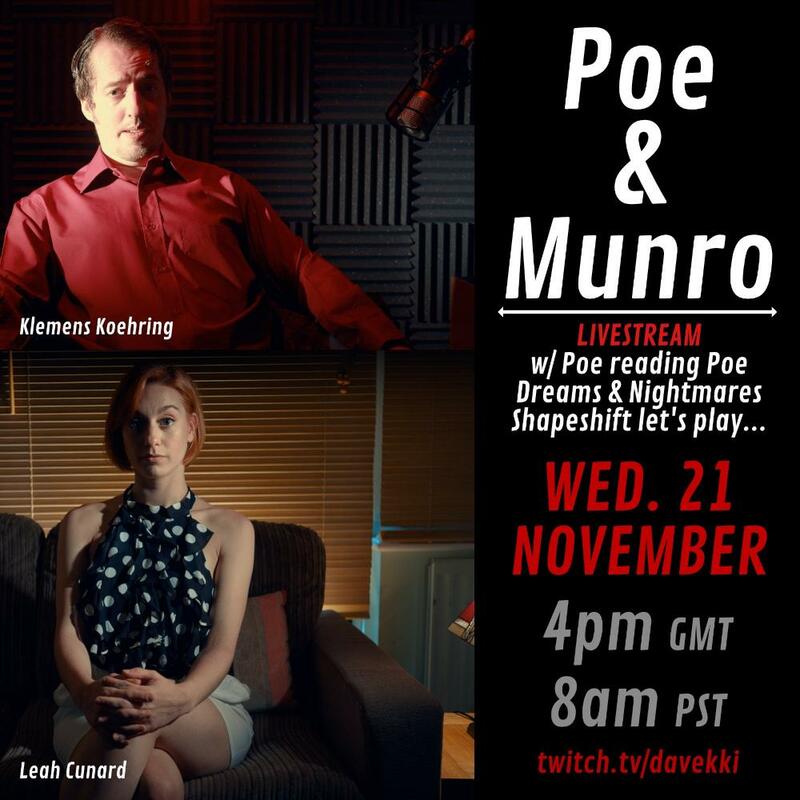 Klemens can be seen and heard as radio host John Pope aka "Poe" in The Shapeshifting Detective, a critically acclaimed full-motion video game (FMV game) developed by D'Avekki Studios and published by Wales Interactive on Steam, Xbox One, Playstation 4 and Nintendo Switch in November 2018. John Pope is the co-host of Dark Nights with Poe and Munro, a radio show in homage to Edgar Allan Poe on Radio August (the in-game radio station). In March 2019, Klemens was nominated for Best Male Gaming Performance for his voice work in the productions at the 2019 One Voice Awards. "Poe, of the Poe and Munro radio show, is a particular highlight, with a gravely tone of voice that you could imagine in a 1920’s gangster film, and even when he’s giving simple mundane updates on local happenings, it feels more grand and atmospheric than it has any right to do." "Speaking of radio personalities, the brilliant talk radio intermissions of Poe and Munro offered some of our favourite moments, even if they mainly served as filler when travelling in a cab or arriving at the bed and breakfast. It brought popular podcast Welcome to Night Vale to mind (even if it's not nearly as strange as that) and really offered an additional layer to the narrative." 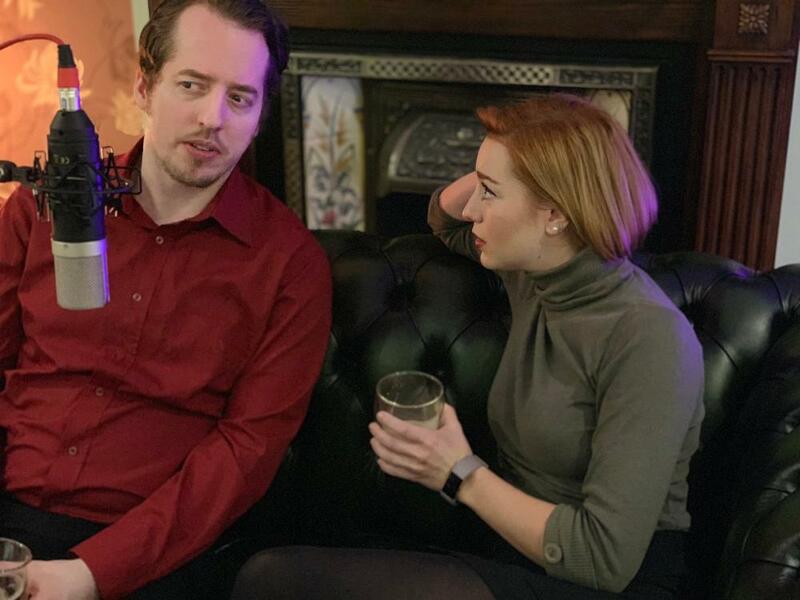 "I especially loved the Radio Conversations featuring Poe (Klemens Koehring) and Munroe (Leah Cunard), the stars of the local Radio Station." "I know the saying is always 'you have the face for radio', but in Poe’s case, he 'has the voice for radio' – it fits perfectly with its deep, slow, and well-spoken tone which is both soothing and rather seductive at the same time." "(...) The Shapeshifting Detective does have good production values with its live action recordings and audio quality (I especially enjoyed the time you spend on the choice/movement selection screen as the game features two town DJ's who like to talk about everything macabre) (...)." "Skådespelarna som spelar rollerna av Ellis och Poe, vilka driver radiokanalen som ständigt hörs genom spelet, är lysande och låter precis som om de faktiskt är radiopratare." Website Copyright © 2019 KLEMENSKOEHRING.COM. All rights reserved. Disclaimer for external links: KLEMENSKOEHRING.COM is not responsible for the content of external websites.